Another tough year, down the drain. There were several deserving shows, regardless of the endless flow of mediocrity, and they deserve a mention. One of the all-time greatest creators in anime, Shinichirō Watanabe (Cowboy Bebop, Samurai Champloo) returned with a fantastic premise in experimentation: start with a ragtag bunch of bounty hunters (Dandy, Meow, and QT) and throw them into impossible scenarios, and then… reset each episode, wipe it clean for the next one. This is anthology done right as each episode became a showcase for the top animators, directors and writers in the business. That did recycle the overall shtick, but somehow, each episode managed to shoot for the highest peaks in blending or bending genre, mixing parodies and homages. I often applaud creativity over technical execution, especially when ambition and originality plays a huge factor in this surreal and over-the-top series. 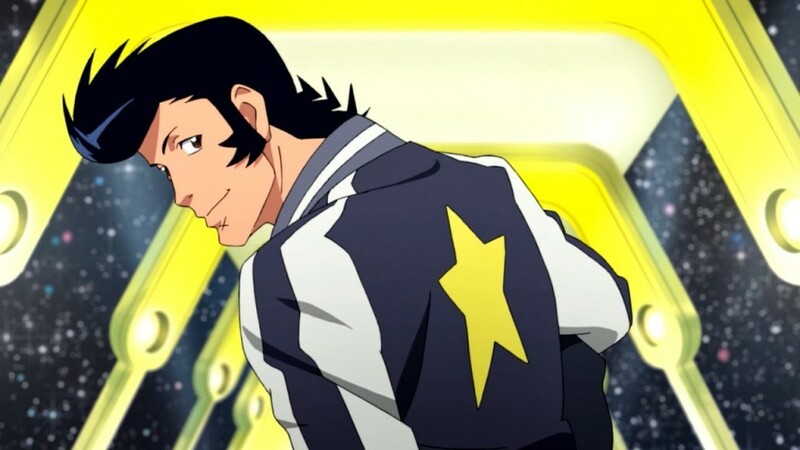 You could say Space Dandy “saved” anime in 2014, but truth be told – there wasn’t much to save in the end. Both whimsical and great, Space Dandy would’ve been a strong contender in any other year, because there’s absolutely nothing like it. 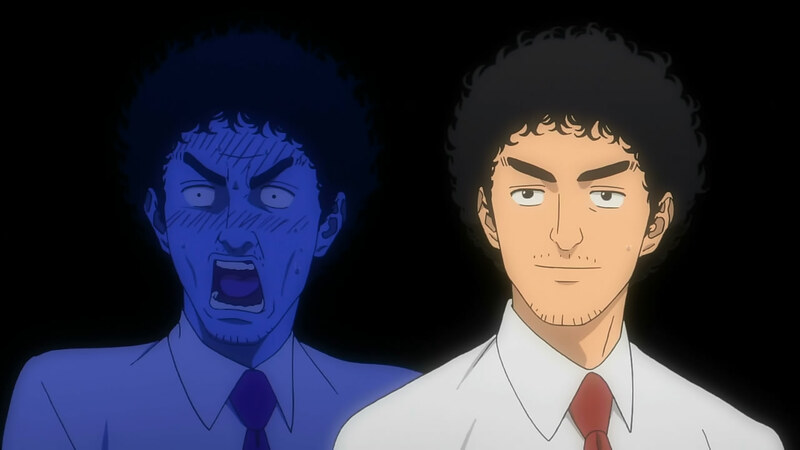 Anime is an unique medium that isn’t as grounded in mimicry or verisimilitude – and that means the creators should push its boundaries every time, exploit the medium without respect to realism in the slightest. And Kill la Kill is the latest exponent of this philosophy, in a long line that dates back to Tengen Toppa Gurren Lagann and FLCL – a madcap, hyper-kinetic spectacle with a barely coherent plot and outsized, totally outrageous characters. Absolutely zero filler episodes means this show had impeccable pacing. Admittedly, there were plenty of fan-service-y innuendo and inside baseball jokes (many of the puns are based on Japanese words), so many of the references might fly over your head. 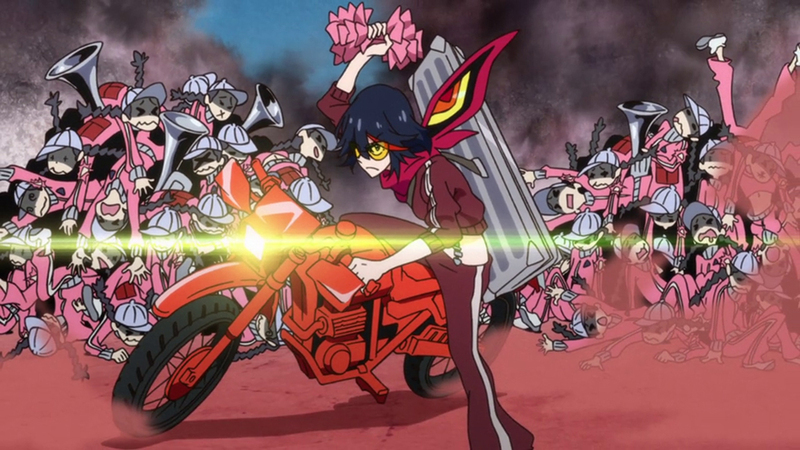 Competently animated, and completely slick with its stylized aesthetic, Kill la Kill is a shot of adrenaline to your groin, and doesn’t let go until you’re pumped at maximum capacity, frothing at the mouth, ready to change the world – or at least blog on the next episode. Two. Frigging. Shows. All. Year. Jumping Jehoshaphat. 2014 was a down year in Anime. I mean, we are talking the Leastern Conference bad in the NBA these days. 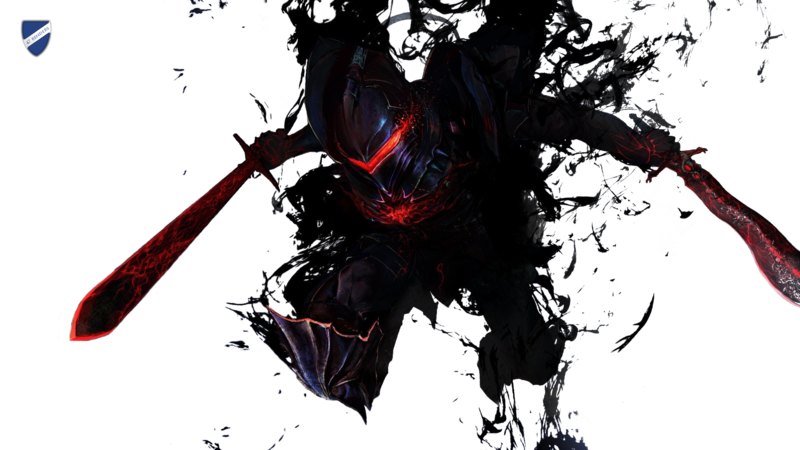 Even my favorite anime bloggers burned out (Psgels) or delegated the burden (Scamp) or started blogging other non-anime content about Japan (Guardian Enzo). Decent science fiction ideas in the wake of Gen Urobuchi marred by substandard execution. No budget, one dimensional characters? Junk it. No matter how great a studio is, it just can’t get beyond the ridiculous high school setting. Ufotable couldn’t escape the 15 ton ball and chain of shounen and that Yuji Everylead the Bland character. Impressions: WTF. Yes, much like others, I was left speechless. I couldn’t make heads or tails of what the hell I saw. The last time I had that disconcerting feeling was the first time I watched End of Evangelion. 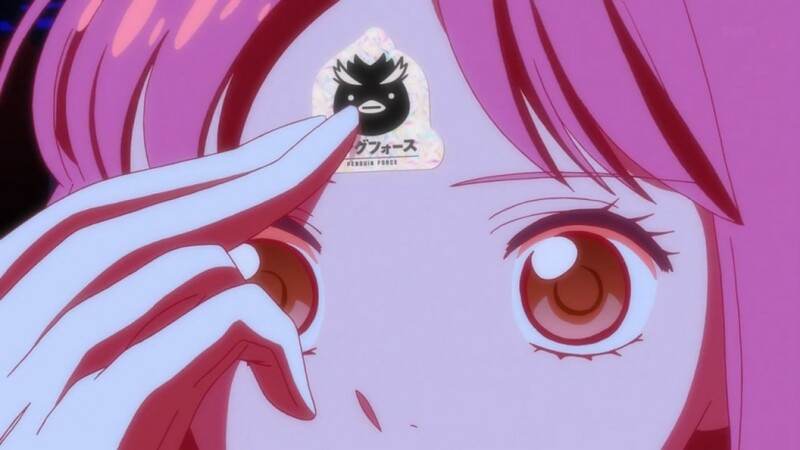 Given the amazing levels of awesome Evangelion 2.0 You Can (Not) Advance reached, I was geeked for more of the same, but I was left reeling with confusion, full of questions, and a slow burn that ended in anger. Are all opinions of art equal? When it comes to art and opinion, we are always reminded of the latin maxim: De gustibus non est disputandum (There’s no disputing taste). However, in the anime Hyouka (13th episode) the issue of art and subjectivity is raised by two high school girls, between Mayaka Ibara and her senpai, the president of the manga club. Continue reading Are all opinions of art equal? Posted on August 12, 2012 August 13, 2012 Author AwetCategories Aesthetics, PhilosophyTags aesthetics, Anime, art, Hume, subjective5 Comments on Are all opinions of art equal? While I’ve read several works in literature that could pass as nihilistic, it wasn’t until Fate/Zero I could say I’ve come across a truly nihilistic masterpiece. Even the classic Neon Genesis Evangelion did not reach this nadir of such depraved nihility. Gen Urobuchi, the writer of Fate/Zero has expressed similar sentiments in his other works such as Puella Magi Madoka Magica, but Fate/Zero serves as a platform that displays a potpourri of various philosophies that are exposed one by one as fictitious or illusory. Imagine a show that didn’t just “jump the shark” but became the very shark itself during its 26 episode run. 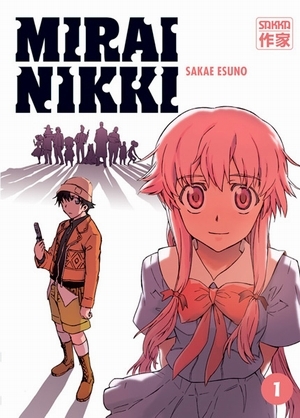 Created by manga artist/writer Esuno Sakae, and animated by Asread, Mirai Nikki is an utterly over-the-top, insanely great series that consistently delivered with twists carried out by deus ex machina characters riding a trainwreck of a plot with reckless energy that absorbed every fatal flaw of narration and obliterated them to smithereens.